Science Walden Project, “Flowing Point” exhibition is scheduled to be held from May 9 to May 30, 2018. 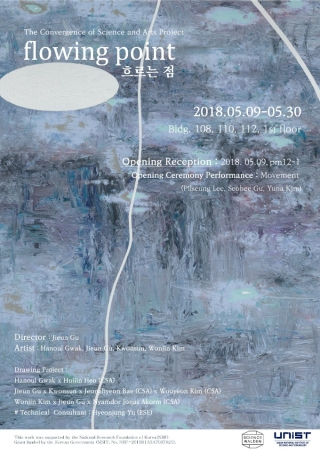 Period of Exhibition : 2018.05.09. ~ 2018.05.30. We apologize in advance for any inconvenience caused by the exhibition. Please appreciate the artworks with the eyes only.